I Just copied this from the instructions senr to me from pimptail. so figured Id try and help my fellow riders out. sorry its not exactly how they sent it to me but it should help some..I did this last night and didnt take long at all so its pretty easy job but just take your time. 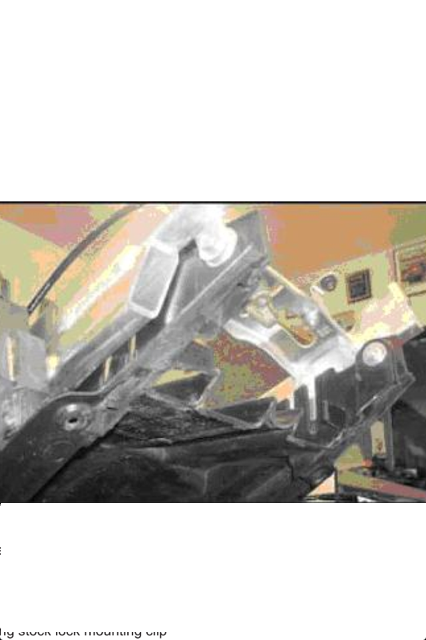 Using a "Dremel" tool or cutting disc (this can also be done using a sharp edged knife, but is not recommended), remove the plastic shown in the photos to the above. 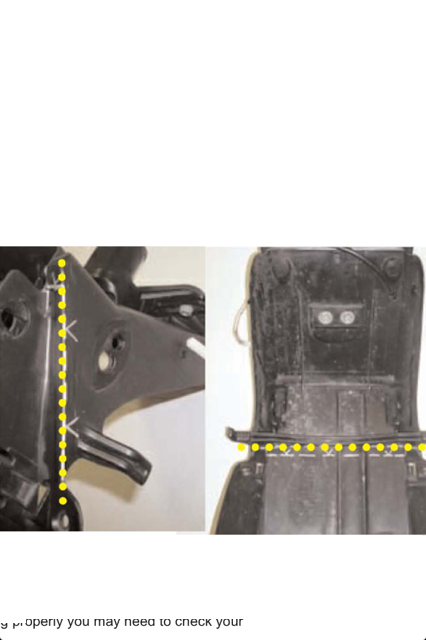 Your subframe may be different but the cutting position is the same on all years. Be sure to take your time cutting, so that you don’t cut away any more plastic than necessary. 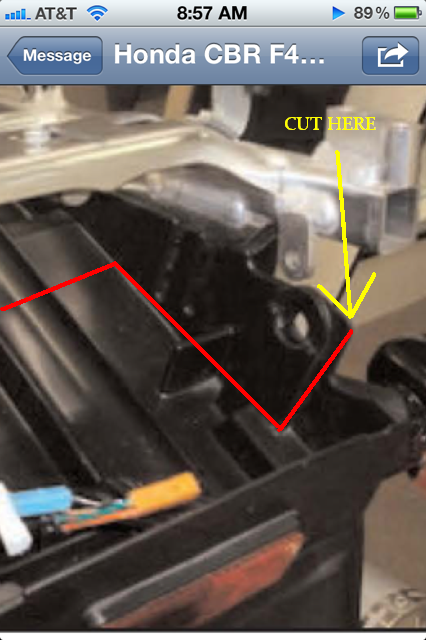 Trim off the back portion of your glove box, but make sure to leave the sub-frame mounting tabs connected. After cutting it is a good idea to test the fitment of the undertail. If the undertail is not fitting properly you may need to check your position and cut a little more. Remember cutting less is always better!!! 4) Re-attach glovebox, replace all bodywork with fasteners loosely installed. Install undertail leftside first, then the right side. Be careful not to scratch, or crack the undertail. Use plastic screw rivets to hold the undertail in. Last edited by TF04F4I; 09-07-2012 at 12:01 PM. Stock tail light Aftermarket undertail?